HITCHCOCK – On November 25, 2018, after a month of fighting the aftermath of a stroke, our dad, “Capt. George”, went home to be with God. 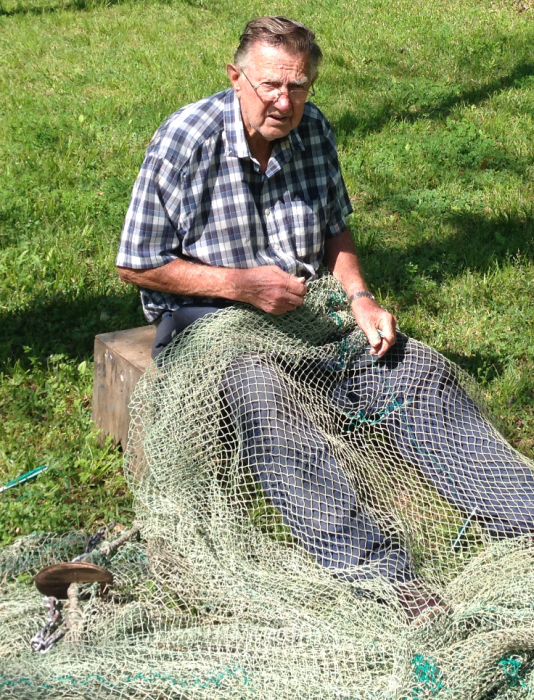 George was 86 and was at work on the shrimp boat when he had the stroke. He lived his life exactly the way he wanted and was doing what he loved to do most when this happened. We should all be so lucky. We love you, Dad. We know that we’ll get to be together again someday. He is preceded in death by his parents, Jessie Ralph and Ruby Lena (Nelson) Stephenson; son, Doyle Hyatt; brothers, Snooks Stephenson and Willard Stephenson; sister, Lois Gibson. Survivors include his loving wife of 51 years, Faye Stephenson; sons, Michael Stephenson and wife, Rachael of Hitchcock, Louis Stephenson of Texas City; daughters, Judy Hyatt and best friend, Larry of Onalaska, TX, Linda Vaughan and husband, Bugs of Atlanta, TX; brother, Tootie Stephenson of Smith Point, TX; sisters, Evelyn Standley of Smith Point, TX, Eula Mae Dryer of Ingleside, TX; 8 grandchildren; 7 great grandchildren; numerous nieces and nephews. Graveside services will be conducted 1:00 p.m. Thursday, November 29, 2018, at Farley Chapel Cemetery, 61 Hilton Lane, Shepherd, TX 77371, with Pastor Lee Balinas officiating. Visitation with the family will be from 5:00 – 8:00 p.m. Wednesday in the chapel of Hayes Funeral Home, 10412 Highway 6, (409) 925-3501. In lieu of flowers donations may be made in George’s name to First Baptist Church of Hitchcock, 6601 FM 2004, Hitchcock, TX 77563.